Don’t you hate that there isn’t a pile of kittens in front of you right now? Of course you do. 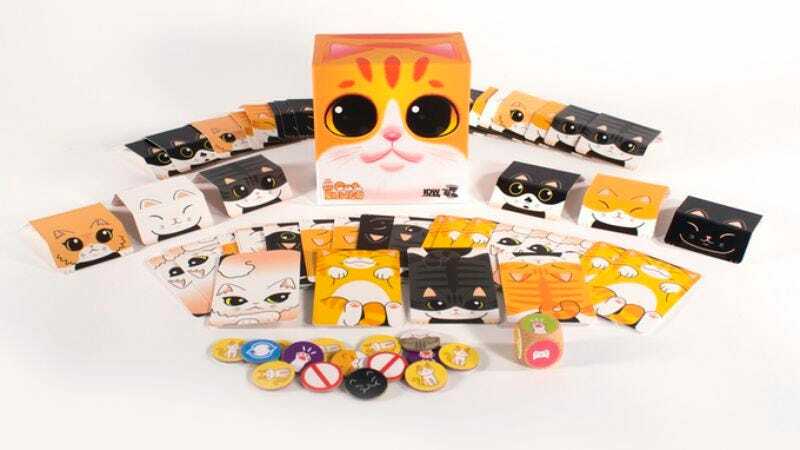 Well, say hello to the Kickstarter-backed Cat Tower by IDW Games. It’s a game about carefully balancing cats on cats on cats. Basically, it’s Jenga but without all of those annoying wooden pieces. Having already reached its goal of $15,000, Cat Tower will be successfully funded on September 4. In the meantime, interested parties can use the Kickstarter page either to get in on the prospective fun or start thinking up tactics. The game takes around 15 minutes to play and it’s recommended for two to six players. The instructions also don’t actually specify if the players need to be human, which is good because your cat will most likely want to destroy any feline fortress you construct anyway.